Shopping for Frozen Construction Toys? Build your own LEGO BrickHeadz versions of Anna and Olaf, as seen in the blockbuster Disney Frozen movie. Check out their decorated eyes, Anna's iconic magenta cape and Olaf's carrot nose! Then display the comedic couple on the baseplate and show them to all your friends. 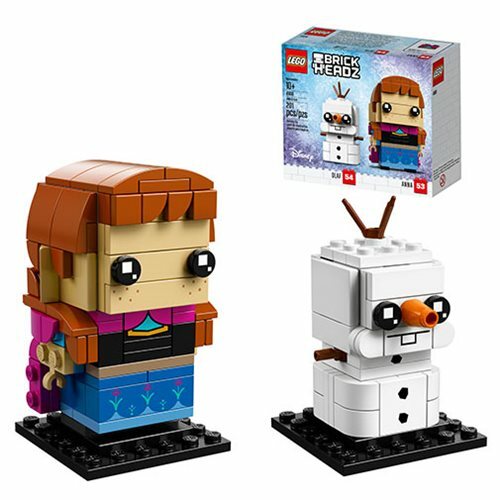 The LEGO BrickHeadz Frozen 41618 Anna and Olaf includes 201 pieces. Ages 10 and up.